Life in Russia: How to get married in Russia? How to get married in Russia? Once you've met a perfect couple for yourself, you may start thinking about marriage. 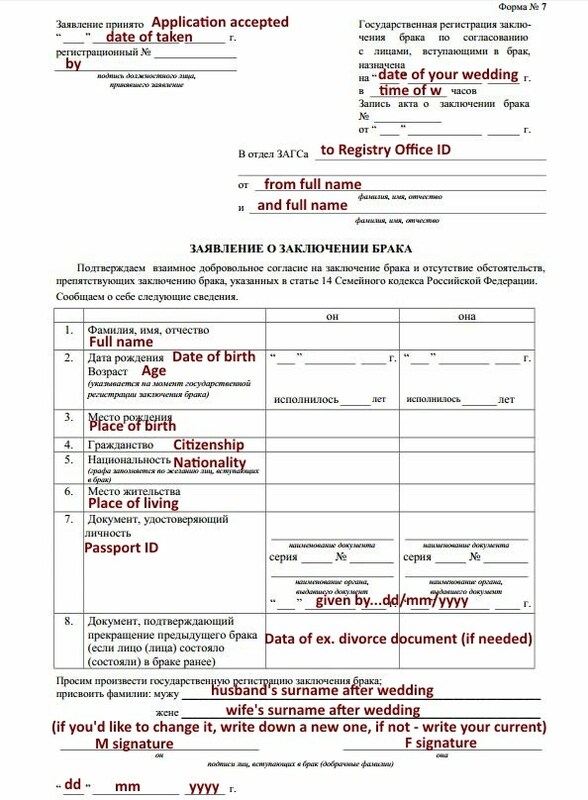 There is a possibility for foreign citizens to marry in Russian Civil Registry Office (ZAGS). You'll have to take a special form from your Embassy. It's called a "non-marriage certificate" ("certificate of no record of a marriage"). If you haven't found your country in a list above, you will need to legalize your non-marriage certificate. It'll take some time and money. When you've picked all needed documents, you can visit a ZAGS to apply for a wedding registration. 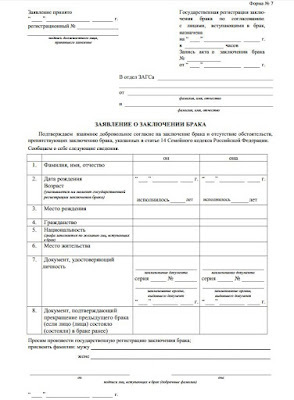 You'll need to fill a form and pay a wedding registration fee (350RUB in 2015). As you can see, you have to write down your personal info there. If you have been married before, you'll have to own an evidence about it (column №8). When the application form is filled, give it to the ZAGS inspector, who'll check all your documents and book a wedding date. 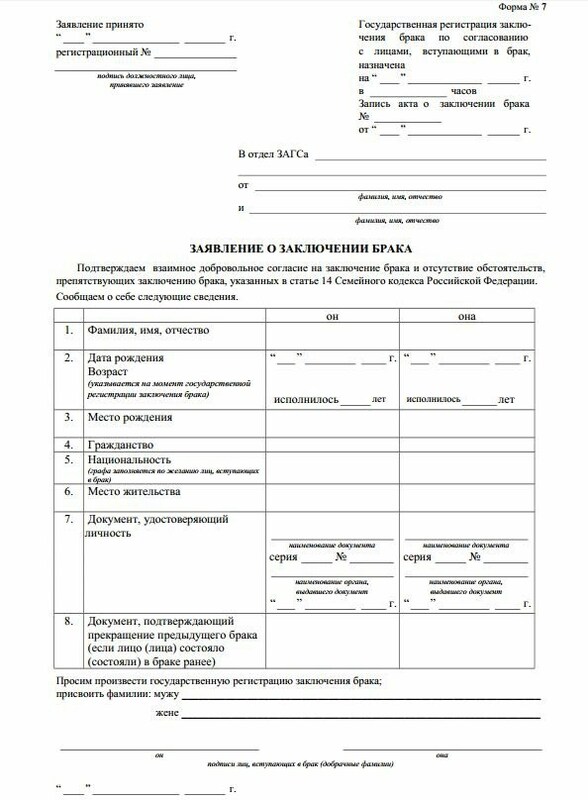 By Russian laws the wedding should take place between 32 and 60 days after the application form is handled to ZAGS. So you have to wait a month or two. If your bride is pregnant, wedding could be held sooner, in that case you'll need to show inspector a pregnancy certificate from your bride's doctor. In the day of wedding you'll get a Government Wedding Certificate. Your Russian spouse will also get her/his passport stamped. After you got married, contact your Embassy about next steps. You may be invited to visit Embassy with a Government Wedding Certificate. It is needed to transmit the new information into the register of your country. Now you can apply for temp residence permit without quota - you don't need to wait any specified time, unless you have changed your surname, in that case you have to renew your passport firstly. A pleasant addition, isn't it? But don't forget that wedding is the union of two loving hearts mainly, you shouldn't use it for cheating on the way to Russian citizenship. Great tips. Now i am thinking about marriage, because i found a beautiful russian bride on http://rbrides.com/. 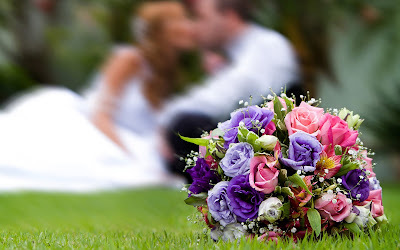 We decided to to get married in her hometown that's why your article is very helpful for us. Thank you so much for posting, it is gonna be very useful information for me in the near future cuz I am going to marry with Ukrainian girl, we met each other at this dating website http://nikolaev-marriage-agency.com/. Thanks a lot one more time!